WASHINGTON, D.C. — As the Environmental Protection Agency (EPA) seeks public comment on its proposal to roll back its Clean Power Plan, a new survey by Consumer Reports says a large majority of Americans want cleaner and renewable sources of energy. The survey finds 81 percent of American adults agree that reducing pollution from power plants is a worthwhile goal, and 76 percent agree that increasing renewable sources of energy, such as solar and wind, is a worthwhile goal. The findings of the survey were released today by Consumer Reports. A CR article about the survey is online here. 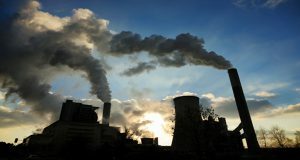 The current leadership of EPA opposes the Clean Power Plan, which the agency introduced in 2014 to limit carbon pollution from power plants in order to improve public health and promote energy efficiency. EPA is now asking for comments about its proposal to roll back the Plan and lower its targets though Wednesday, October 31. Consumer Reports will include the survey results in its submission to EPA. In addition to finding support for clean energy, the CR survey finds consumers have concerns and frustrations with their current utility companies. Only 33 percent said they trust their electric utility company to offer fair rates and service, and 48 percent said they don’t feel that electric utilities care about lowering costs for their customers. Seventy percent agreed that they would like to choose their electricity provider. However, only 13 states and the District of Columbia offer consumers a choice in where to buy their electricity. The nationally-representative survey was taken by 1,200 U.S. adult residents. CR also spoke to 400 residents of four states with a higher than average use of coal—Illinois, Ohio, Tennessee, and Virginia — and their views were mostly in line with residents of states that rely less on coal to fuel their power plants. The online survey was fielded by GfK from May 16 to May 30, 2018. The target population consisted of the following: non-institutionalized adults age 18 and older residing in the U.S. To sample the population, GfK recruited households from its KnowledgePanel, a probability-based web panel designed to be representative of the U.S. The margin of error on the weighted data is +/- 3.0 percentage points at the 95% confidence level for the nationally representative sample of 1,200 U.S. adults. See PDF above for a summary of the survey report.